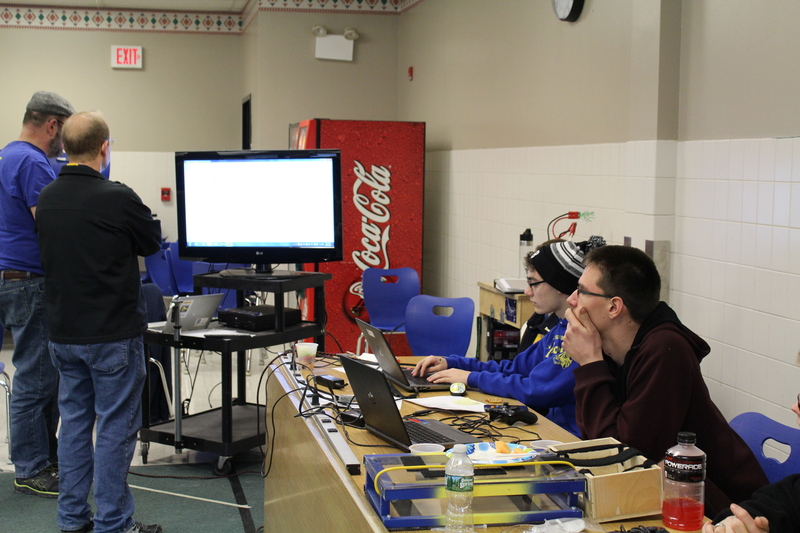 During week five, our build team and programming team worked side-by-side to simultaneously fix and program the robot. In the middle of week five, we began to set up our half field in our school’s cafeteria. There we began to perfect all of our autonomous code and work with our drive team and pit crew. 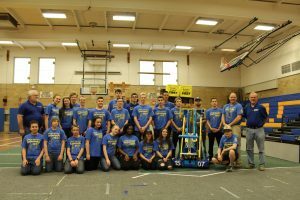 In week six, the team completed all awards, finished building and programming our robot, OTIS, and even had time to scrimmage at Penfield High School, the home of FIRST Team 1511, Rolling Thunder. We were joined by several teams from around Western New York and had a great time on Sunday. We played well at Penfield and are excited to see what this season will hold for us. Our students are hard at work today making spare parts, and practicing for our FIRST Chairman’s Award. On Tuesday, the Warlocks held our annual “Media Day” where we were joined by a journalist from the Lockport Union Sun and Journal, as well as a member from Channel 7. The footage that Channel 7 took was then aired on the news that night. Throughout the season, the Warlocks have worked hard to design, build, and program our robot, OTIS, within th e allotted time. We wish all teams god luck as they begin their competitions in the near future! We can’t wait to see everyone when we head to the Finger Lakes Regional (March 15-17) and the Buckeye Regional (March 28-31). Thank you to all parents, mentors, and teachers that helped us to reach our full potential during the season. We appreciate all those who pushed us to stay on track and finish on time. We especially would like to thank all the parents that helped to provide us with food to fuel us, because after all, what robotics team doesn’t love a good team dinner? 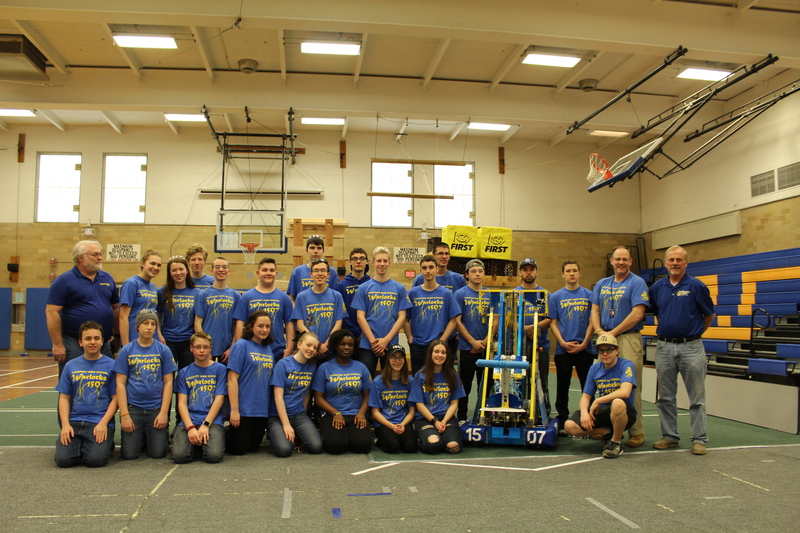 Copyright © 2015 Lockport Robotics Inc. All rights reserved.